Are you the viewer drawn toward us? Do you suppose you will find in Walter White ideal? 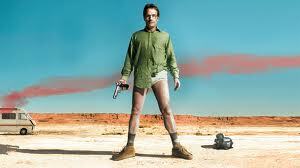 Do you think it so easy to have become a Pinkman? Do you think the familiarity of Hank would be unalloy’d satisfaction? Do you look toward the Skyler when death is on the breath of life? Do you see no further than a pink teddy bear façade, a smooth and tolerant manner? Do you suppose money advancement toward a real heroic man would last? Do you suggest the whities could have been tightier? Have you no thought, O dreamer, that actions have consequences, this is all illusion breaking into bad? With a little contravention of Walt Whitman I say adieu to Breaking Bad. Like any good morality play, the lessons were many. I bet you can easily figure out what each character personified. 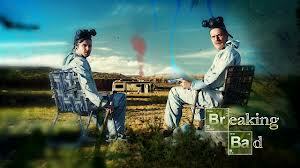 Breaking Bad reinforced that two wrongs or many, many wrongs don’t make a right. All actions have consequences, good and bad. Doing the wrong thing for the right reasons still doesn’t make it right, right? Creating, writing, directing, and producing the AMC drama series Breaking Bad was a masterstroke from Vince Gilligan, X-Files (Note the cast). 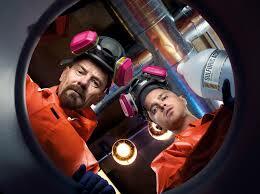 Hard to believe it and Heisenberg will soon go gently into TV history. Thank you so much for adding me to your cool list (I’m in good company). I’m going through and trying to figure out how you choose these all, what a fantastically diverse group of blogs.